The Illman-Carter Training School for Kindergarten and Primary Teachers was founded in October 1904 by Miss Alice Carter of Philadelphia as the “Training School for Kindergarten Teachers.” Earlier, Miss Carter had established two mission kindergartens in poorer districts of the city. One kindergarten was located on Lombard and Seventh Streets, with Miss Adelaide T. Illman, a graduate of the Philadelphia Normal School, as Director. Aware of the intense need for adequately trained kindergarten teachers, Miss Carter initiated a series of lectures at the then Drexel Institute of Technology (the present Drexel University) for women working at kindergartens in 1904. This was the beginning of the Training School. 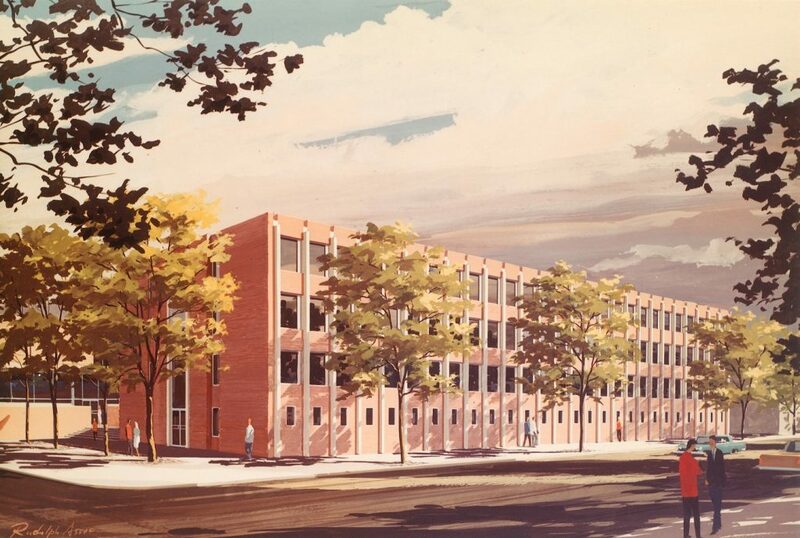 Later the School secured accommodations at Twelveth and Walnut Streets and enrolled four and five year old children in a kindergarten where students could observe teaching methods demonstrated by an adequately trained teacher. Miss Caroline M. C. Hart of Baltimore, a noted specialist in the kindergarten field of eduation, was the first Director of the School. After the School moved to the southwest corner of Thirty-sixth and Walnut Streets, Miss Illman became assistant to Miss Hart. After Miss Hart died in 1918, the training program was enlarged to include the training for primary teachers and the School renamed “Miss Illman’s Training School for Kindergarten-Primary Teachers.” In 1921, owing to the rapid growth of the damand, the School purchased a fine old house at 4000 Pine Street with the financial assistance of Miss Carter. In 1928, the Pennsylvania Department of Public Instruction granted the School a charter, and since then graduates of the School were awarded certificates for teaching in public school upon the completion of the two to three year program. The School of Education of the University of Pennsylvania entered a special relationship with the Illman School in 1932. The School of Education sent its own faculty to teach at the Illman School such courses as English, Psychology, and General Education Philosophy and Methods and in the meantime granted credits toward a Bachelor of Science Degree in Education for certain method courses students took at the Illman School. In 1936, the Illman School, including its Children’s School, formally became an integral part of the University of Pennsylvania under the name of the Illman-Carter Unit for Kindergarten-Primary Teachers. Miss Illman continued as director of the Unit with the rank of Professor of Education until she retired in 1947. In 1959, the University of Pennsylvania decided to close the Illman School for Children because of the heavy expense to run the school properly and also because of the new trend of using public and private schools for practice teaching instead of confining such training to a demonstration school. In recognition of the contribution of Miss Illman, the University named the Division of Elementary Education of the Graduate School of Education the Illman Division of Elementary Education. The University of Pennsylvania initiated the Schoolmen’s Week program in 1914, with its first annual meeting held on the University campus. The mission of the program was to have all administrators and teachers engaged in school education get together and update their expertise by attending lectures or exchanging views and ideas on a wide range of topics related to school work. The participants included superintendents and principals of the state, representatives of boards of education, and principals and teachers of normal schools and colleges. The program, which offered in the first year twenty-four meetings attended by two hundred people, grew to be a teachers’ institute offering over a hundred sessions with an attendance of over two thousand in the fifties and an attendance of thirty thousand in 1960. In addition to the University of Pennsylvania, the program was also supported in the sixties by the Drexel Institute of Technology, the Junior High School Vice Principals Association, the Philadelphia Principals Association, the Philadelphia Suburban Elementary Principals Association, the Philadelphia Teachers Association, the Private School Teachers Association of Philadelphia and Vicinity, and various school districts in the area. This series consists mainly of records of two educational programs–the records of the Illman Training School for Kindergarten and Primary Teachers and the records of the Schoolmen’s Week program. The subseries of the Illman School includes two major files–the Administrative Files and the Children’s Class Records. The Administrative Files document the development of the School from 1904, the year when its precursor, the Training School for Kindergartners, was opened, to 1959 when the School ceased to be part of the University of Pennsylvania. The Files feature address books of the School’s graduates in early years; an agreement between the School and the University of Pennsylvania for the integration of the School as a unit of the Graduate School of Education of Penn; by-laws and Board of Managers minutes, 1928-1936; brochures of the School from 1904-1946; and financial records in ledger books. The Children’s Class Records are records of children who attended the Illman School for Children (an institution attached to the Training School for the practice of its trainees) from 1939 to 1959. The Children’s Class Records document the development of each child’s behavior and performance in class as well as the care the child received at home. The subseries of the Schoolmen’s Week program includes correspondence of the activities sponsored by the Graduate School of Education for the program from 1952 to 1967, meeting brochures, and files of meetings at two locations–Lancaster and York–in the late 1950s. In the Footsteps of Froebel n.d.